It is important to set a realistic budget. Decide what aspects of the projects are most important to you and prioritize them accordingly. Some people find it helpful to number the items so that if necessary, the less important items can be cut should budget become a constraint. There are numerous, less costly upgrades that can incrementally increase the beauty and value of your home. Ask for our cost vs. value report and see what real estate industry statistics say about various remodeling project return values. It is extremely beneficial to you and your contractor, to communicate your projected budget. It saves lots of time and frustration for both parties involved and helps to more efficiently establish a fair and accurate contract, with fewer surprises. Tell us your budget and we can help you decide which improvements can create the most impact for what you can afford. The no risk window is a great time to gather information and get to know your remodeling contractor. At the on-site free consultation, ask questions and give ideas, determine whether you seriously want to move to the first phase and pay a retainer for a project design and quote. This is also a good time to gather photos, check out web sites like houzz.com, watch design programs and really hone in on what you like, what you want and most importantly, how you will use the new space on a daily basis. The better acquainted you are with all of this, the smoother and better your remodel experience will be. 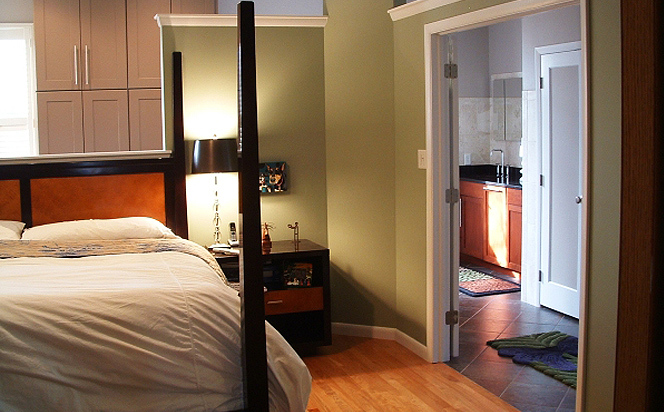 It is important to remember that remodeling is not just a monetary investment. Be prepared to sacrifice time, convenience, and your normal way of life. It may sound traumatic, but if you organize your home ahead of time and expect the disruption of your everyday routine, it will be much less stressful. Despite years of experience, skilled craftsman, innovative thinkers, intelligent designers, efficient organization, best intentions, and professional pride, remodeling is not an exact science. Whether it is the hidden beam or duct work, or a product that in the catalog seemed perfect, remodeling often has a certain element of change. Be prepared to; accept the things you can’t realistically change (like that hidden duct work) and have the strength to choose something different (like the picture perfect product, that even though was less expensive, didn’t really cut it in the end).